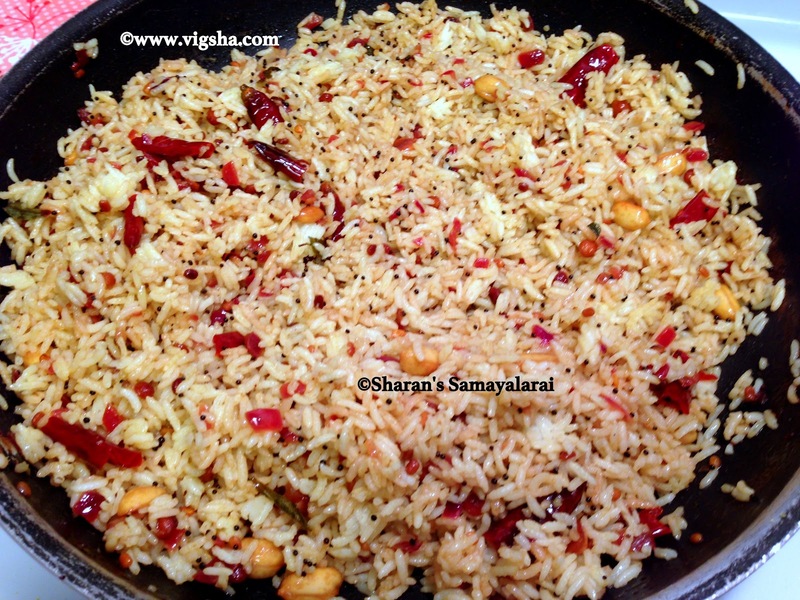 Tamarind Rice is a tangy-spicy South Indian variety rice, popular for its long shelf life. It is a great lunch box recipe too. 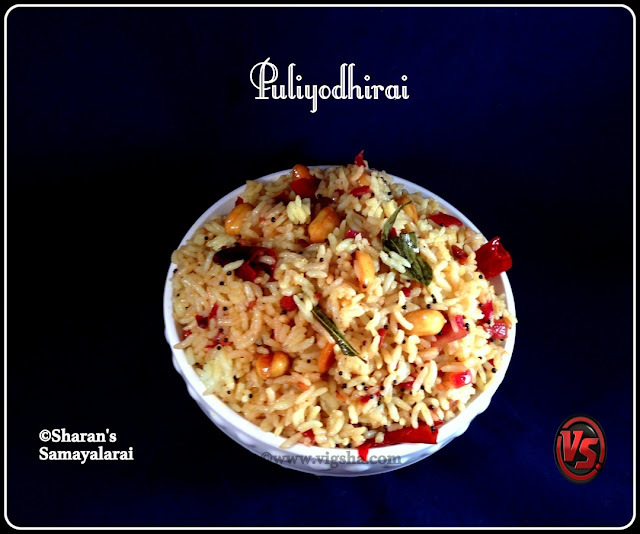 Also don't miss other variety rice/lunch-box recipes which I have already posted - Spinach Rice, Capsicum Rice, Coriander Rice, Tamarind Rice, Lemon Rice, Coconut Rice, Simple Veg Rice, Carrot Rice, Tomato Rice, Vangi Bath, Curd Rice, Cauliflower Rice, Purple Cabbage Rice. 1). 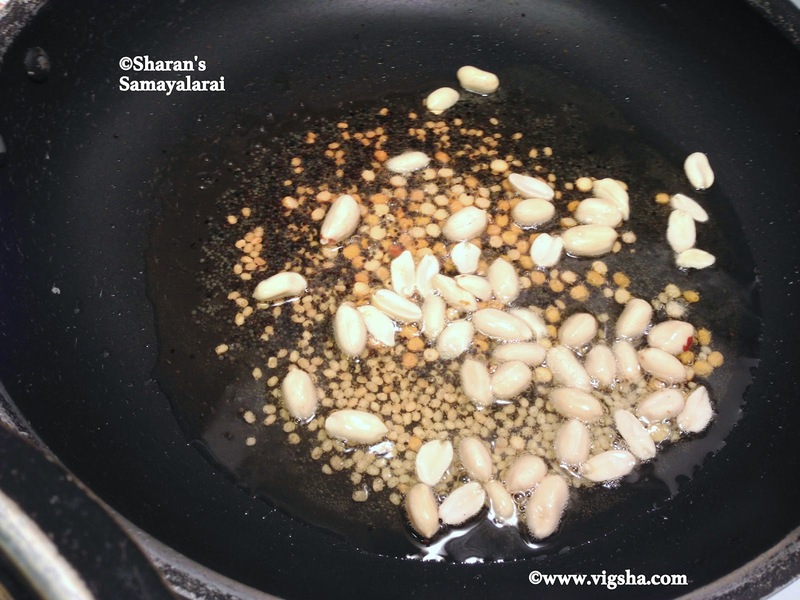 Soak the tamarind in hot water, extract the juice and discard the fiber. Keep the juice aside. Cook rice and spread it on a plate, keep aside. 2). 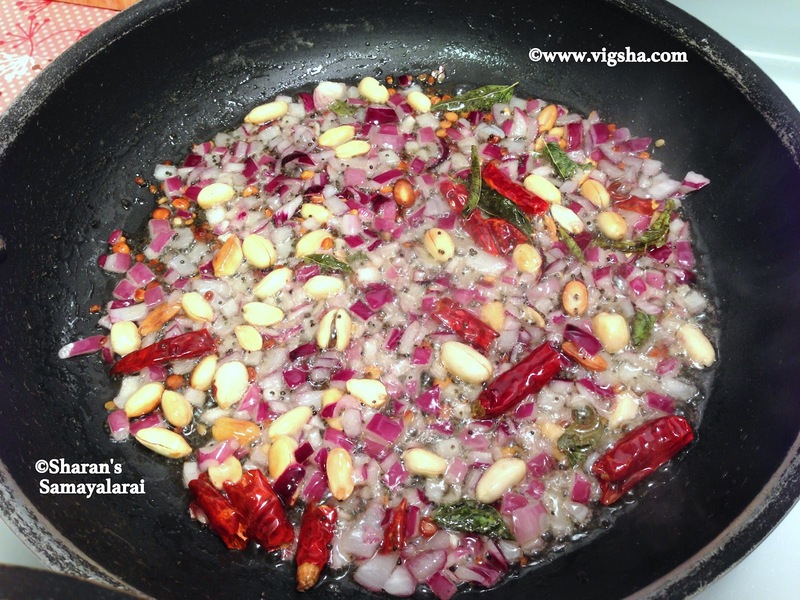 Heat oil in a pan, add mustard and peanuts, let it crackle. 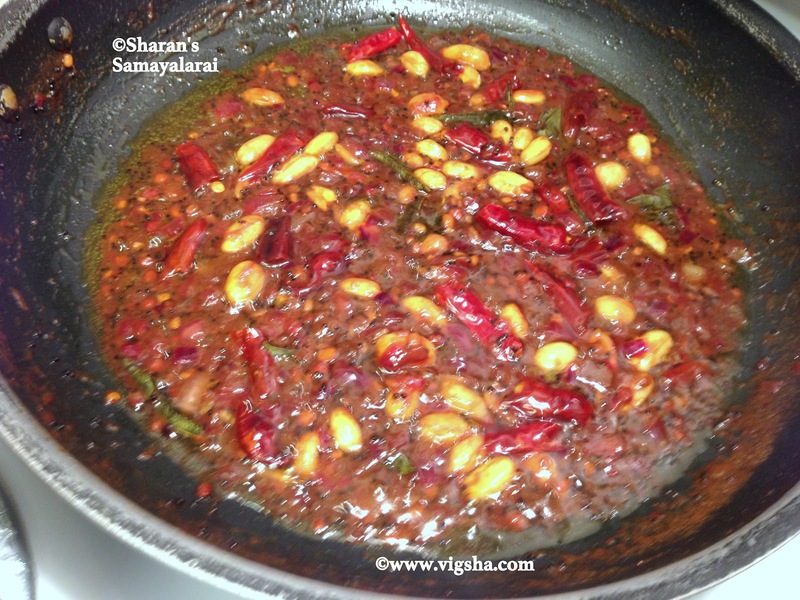 Then add channa dal and urad dal, saute till they turn golden brown. 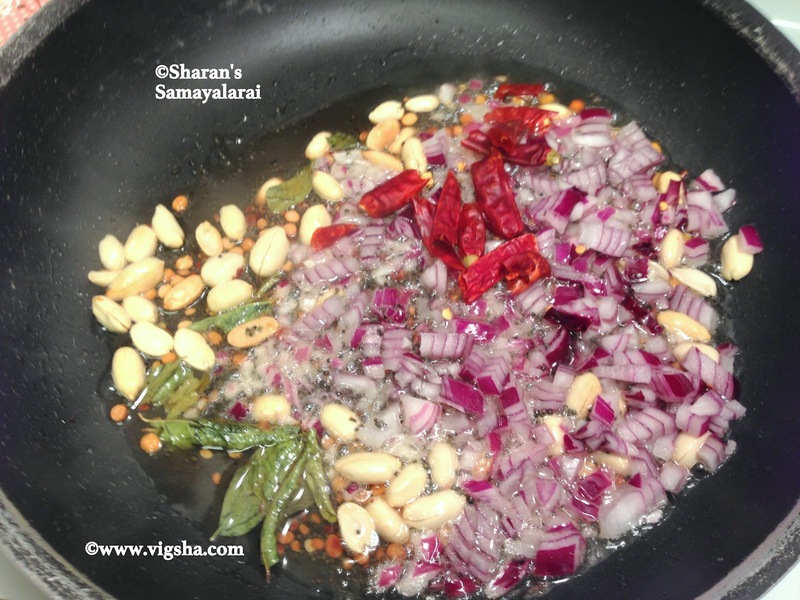 Then add chopped onions, red chillies, hing and curry leaves, saute till onions turn translucent. 3). 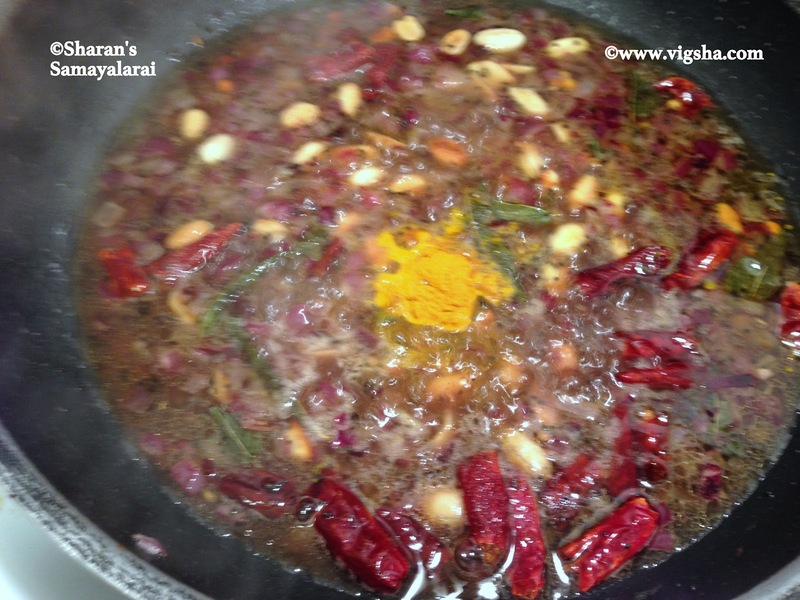 Pour the tamarind extract and add turmeric powder and salt. Let it boil until the volume reduces to half. 4). Once it reduces in volume and oil oozes out, switch off ! 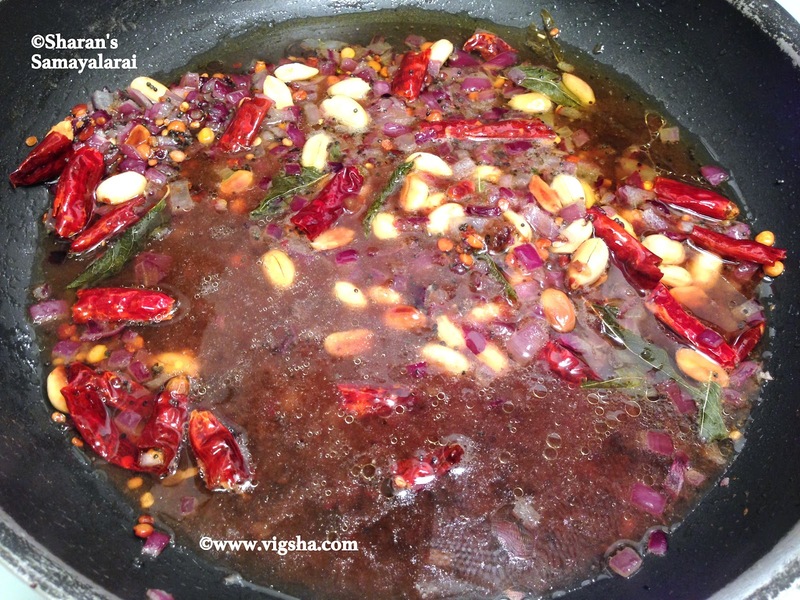 Pulikachal is ready, now add the cooked rice and combine. Check for salt and adjust accordingly. 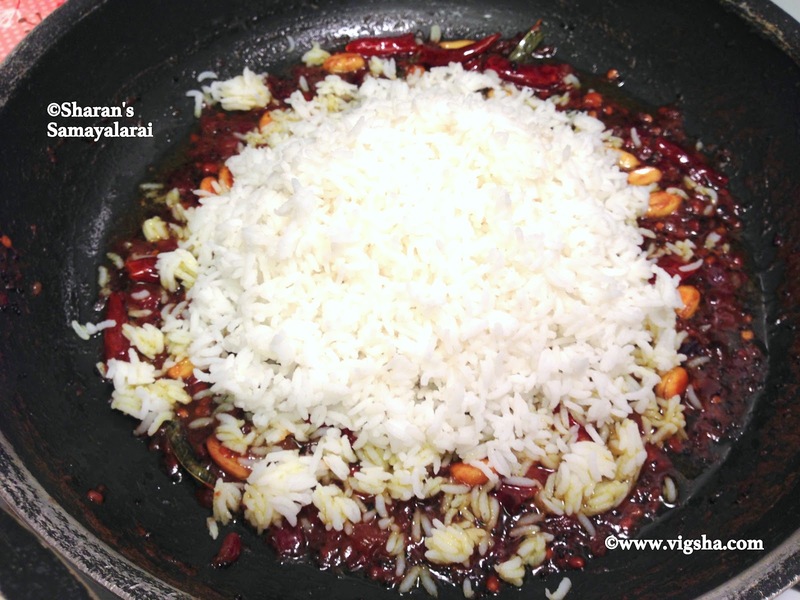 Allow the rice to rest for atleast 30 minutes before serving, this helps to imbibe all the flavors. # Left over rice suits best for this recipe. 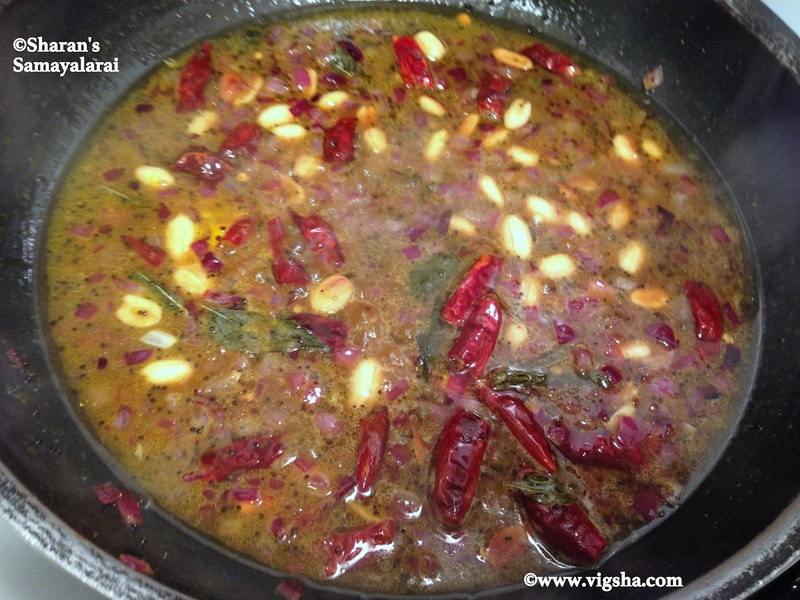 # Using gingelly oil gives a nice flavor to the rice. # If using roasted peanuts, peel the skin and add it before adding the rice. # You can make pulikaichal well in advance and can store for long time. # Avoid using onions, if you cant refrigerate or planning to store it for very long time. 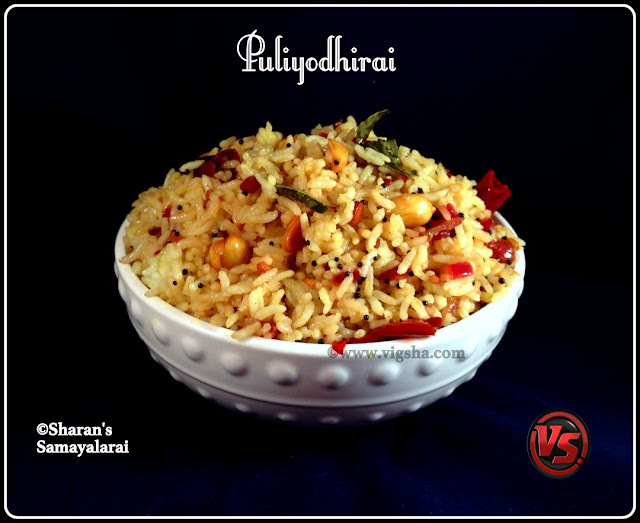 # Store the leftover pulikachal, you can store in the fridge for a week and use it whenever required. If you enjoy reading my blog, Join my page on Facebook | follow me on Twitter | add me on Google+ .